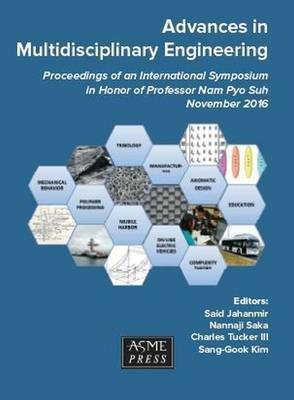 This proceedings publication includes papers and abstracts from a dedicated track focused on Multidisciplinary Engineering, at the November 2015 International Mechanical Engineering Conference and Exposition (IMECE 2015). Innovative solutions to large-scale, complex engineering problems are no longer confined to a particular discipline of science or engineering. Optimal solutions often require a multidisciplinary approach that draws on various concepts and knowledge base in an iterative process. The objective of these papers and abstracts is to highlight the importance of the multidisciplinary approach. This proceedings covers Mechanical Behavior of Materials, Tribology, Cutting Tools and Machining, Polymer Processing, Axiomatic Design, Complexity Theory, On-Line Electric Vehicles, Mobile Harbor and Multidisciplinary Engineering Education.